It's one of those stories performers dream about, a self-made singer songwriter who takes the industry by storm through passionate performances played out across social media. With fiery red hair and an equally radiant personality, Orla Gartland rocketed to stardom overnight by way of stunning YouTube performances that garnered her a loyal fan base. Her start, like many internet singing sensations, began with covers of chart-topping songs, transformed into powerful acoustic renditions by way of guitar, ukulele, and, of course, her voice. Last November, at 18 years old, the Irish songstress released her debut EP, Roots, featuring four original tracks that cemented Gartland as a true chart-topping artist who could compete with established acts of today. Following on this success, she has recently announced her sophomore work, Lonely People, from which we have the same-titled lead single. Like all of her music, "Lonely People" comes directly from the heart, a track that dips through softer moments where only Gartland's voice carries over electric guitar then soars above chorus measures that tip hat to 80s pop classics. Regardless of where you find yourself in the journey, the sincerity of her singing – whether it be sincere joy, contemplation, or affirmation – continues to be Gartland's most endearing quality. 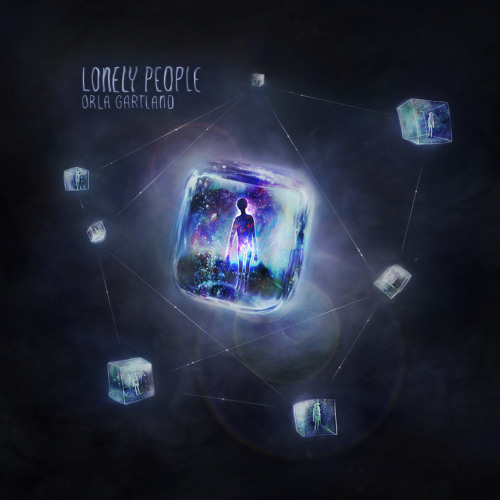 In early 2015, Gartland will be embarking on the Lonely People Tour, which will begin in the UK and Ireland in February before crossing to North America for select cities in March. Tickets are selling fast, so buy yours now and pre-order the forthcoming Lonely People EP release coming January 18th. Watch Orla Gartland's video for "I Go Crazy"